Fusion 360 is Autodesk’s latest product development tool for design, fabrication and collaboration. Merging industrial and mechanical design, you will quickly explore organic shapes through intuitive free-form modeling tools, or create precise, parametric models – it’s up to you! 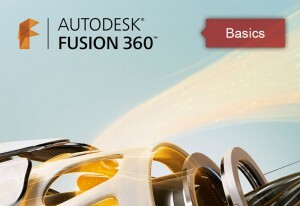 Simply put, Fusion 360 is the platform for rapidly accelerating from an idea in your head to a manufactured product in your hand. By the end of class, you will have an understanding of direct and parametric modeling, dimensioned sketches, T-spline geometry, and much more! If you wish, the instructor can show you how to design a small 3D printable lamp shade. Ask your instructor! If you haven’t taken the 3D printing class yet, make sure to sign up for the next session.